This is #2 in a series of webinars – Open Education Stories from across B.C. The Open Case Studies project at the University of British Columbia brings together faculty and students to create and edit case studies as open educational resources. We have started by focusing on courses that have to do with sustainability because there are many courses across our campus that address issues in sustainability in some way and that use case studies to do so. However, we are interested in any courses that use case studies and that want to make them open and available for others to revise and reuse. We have a small number of case studies so far, but hope the numbers will grow in the coming years as more faculty and students become involved. So far all of our cases are from courses at UBC, but we are investigating ways to include contributions from people around BC or beyond. Christina Hendricks, the lead faculty member on the project, will discuss how the project has worked so far, how courses have involved students in reading, adding to, or creating case studies, and how others can get involved. 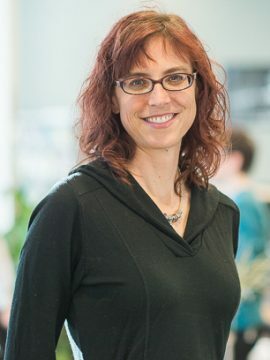 Christina Hendricks is a Professor of Teaching in Philosophy at the University of British Columbia-Vancouver, who is also an advocate for open education generally, including the use and creation of open textbooks and other open educational resources. From 2014-2015 she was a Faculty Fellow with the BCcampus Open Textbook project, and from 2015-2017 she was an OER Research Fellow with the Open Education Group. Join us for the Open Textbook Summit, May 24-25, 2017 in Vancouver, B.C. Register now! As required under the data sovereignty provision of B.C.’s FIPPA legislation, this notice is to inform you that this session will be recorded, archived and made available publicly on the web, and that the software used for recording the session (BB Collaborate), uses servers that are located outside of Canada. As a result, a copy of the recording is temporarily stored outside of Canada as part of the recording process. By participating in this session, you acknowledge that your participation in this session will be recorded by servers located outside of Canada and the recording will be made available openly on the web. If you wish to participate in this session anonymously, you can participate by entering the room using a pseudonym and refrain from sharing audio and video from your computer.